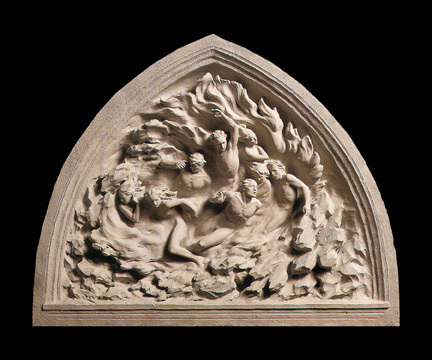 “Ex-Nihilo” by Fredrick Hart, at the National Cathedral. Not Schlocky. I believe part of the answer to these questions is in creating a system in our churches to nurture and encourage creativity. The Vineyard Boise “VineArts” program does a wonderful job with this, providing training, encouragement and opportunity for all skill levels. Another church in Nebraska, Berean Bible Church, provides affinity groups for artists at different levels of skill and experience. There might be a group where people exploring their creativity can grow, an intermediate group of those with some experience, and a group for working professional artists. As artists grow they can move through that system. People of all artistic skills levels can get involved in outreach and ministries, like nursing home performances and exhibits. Artists at the Boise church use the arts to show compassion to Alzheimer patients. Many who have lost their ability to express themselves verbally can spend an afternoon experiencing the freedom of expression that painting can offer. By facilitating this, the artists give a wonderful gift to the patient and their family. The patient’s work is framed and presented to the family, providing an unexpected thing of beauty in the middle of the struggle and strain of the disease. 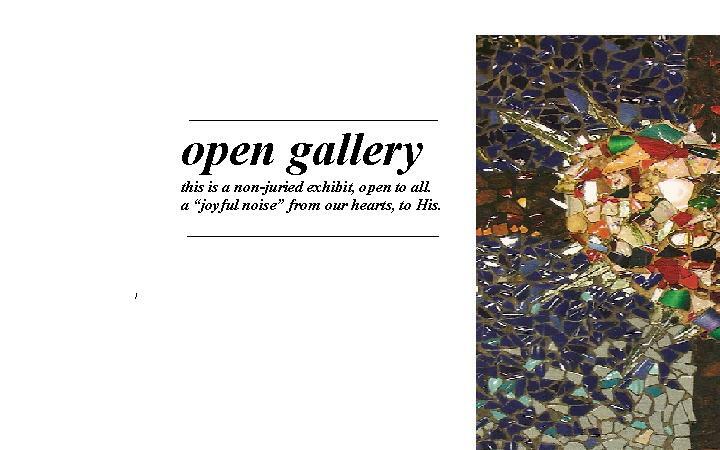 This is one of the many ways that the arts can uniquely convey the love of God to our communities. A way to keep the quality of work shown or performed in your church high is to have juried exhibitions and events. Works that pass a jury might be displayed in your public areas or become part of a permanent collection. The jurors can be anonymous—not the pastor!—people like art teachers and art professionals, possibly from outside your congregation. This way people know that anyone is welcome to make art, but you have to go through the jury process to have your work hung or performed in these areas. If you don’t make it this time, keep trying. This kind of system can cut down on personal offenses and set a standard. It also facilitates a way to disciple artists and help them grow. When an artist doesn’t pass the jury, we can encourage them to separate what they do from their identity as a person, as well as come to grips with the fact that not everything they create is meant to be displayed. Going through these kinds of processes develops character and patience. 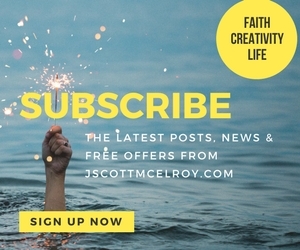 In addition to the church websites embedded in this article, there are many other resources available to help in the process of integrating the arts and artists into your church. CIVA (Christians In the Visual Arts) has a gallery handbook available here. 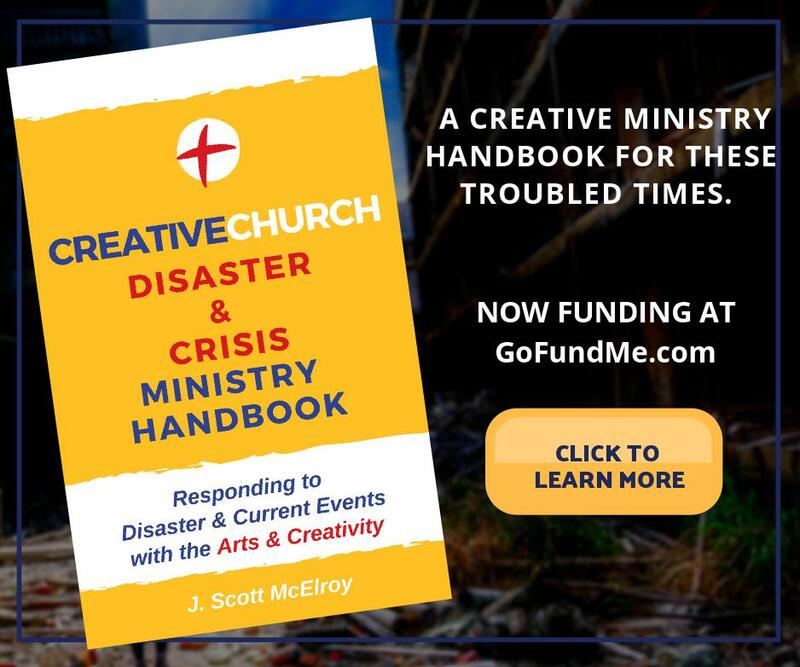 The New Renaissance Arts Movement provides many connections and resources, and Creative Church Handbook is a comprehensive resource on arts ministry in the church.